I’ve been really busy in work today so I didn’t get chance to find a dog at lunchtime, I decided to have a little walk down my parents street on my way to pick up Ethan. As soon as I got out of the car I saw gorgeous Bentley from Day 99, I got to have a good stroke and I took a little stroll with him and his human mummy Ruth. 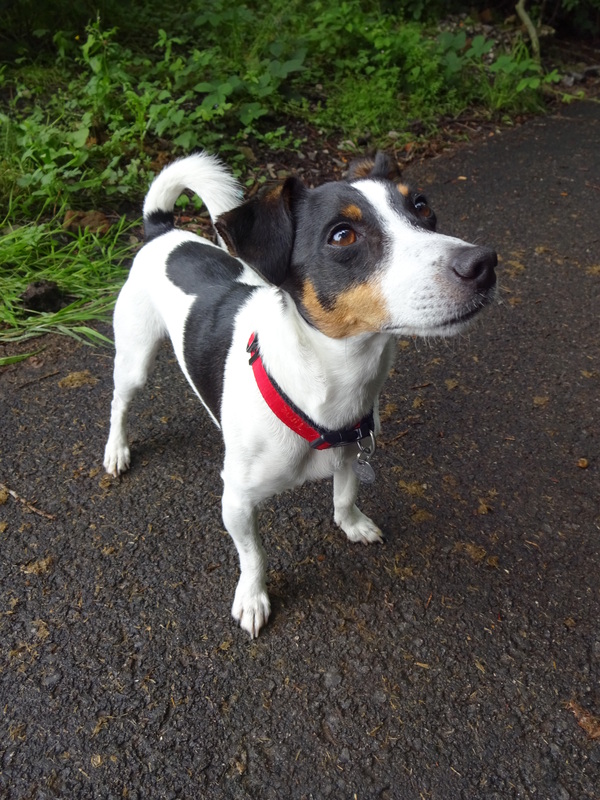 It seemed pretty quiet about, it took a while before we spotted a really cute Jack Russell called Borris. Borris is a friendly boy, he came to say hello straight away! It was tricky at first to get a photo as he kept coming up to me to say hello but eventually we managed to get a good shot! Borris is a rescue dog from Leigh Dogs and Cats Home. Borris was with his human sister who loves him loads, they’d spent the whole day cuddling! Favourite toy: Balls and squeaky toys. Borris also has a toy sheep which is the toy he’s had for a long time for him, usually he destroys them! Favourite pastime: Borris loves chasing bubbles, he squeals when he see’s them and loves to chew them! He also really loves laser pens!